However, most retailers have yet to meet these expectations in a way that doesn’t affect their bottom lines. 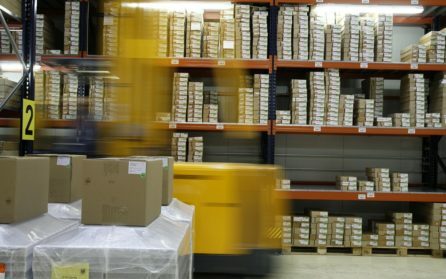 As reported by the “2016 Walker-Sands Future of Retail” study, research by PwC and JDA software found that among the nation’s top 250 retailers, only 19 percent are able to fulfill omni-channel demand profitably, with the biggest challenges being transportation and logistics—specifically, shipping, delivery, and returns. Not surprisingly then, 71 percent of respondents in that study cited omni-channel fulfillment as a top or high priority for future investment. As a result, smaller businesses must find a way to meet customer expectations for “free” shipping, despite the enormous cost. In most instances, costs are passed along to consumers, either through increased prices or by minimum purchase requirements. But for some businesses, raising prices is not an option since price-conscious consumers will simply switch to a lower-cost competitor. Long gone are the days when a catalogue or phone order operator would routinely tell a customer that an order would arrive “within six to eight weeks.” Although that level of service was once considered standard, expectations have certainly come a long way. Important to note is that despite expecting multiple options, most consumers will choose the cheapest option, often sacrificing speed for cost. Internet Retailer’s “2016 Delivery Survey” found 93 percent of retailers said standard shipping options were most often selected by their customers, while consumer research conducted by Deloitte found almost 90 percent said free shipping was more important than fast shipping. According to the National Retail Federation, retailers will see an average 8 percent of sales come back in the form of product returns. This amounts to more than $260.5 billion in sales. But savvy retailers recognize the returns process as an additional opportunity to connect with customers and differentiate themselves from competitors with a customer-centric returns policy. But delivering on these expectations can be costly. Deloitte’s research notes transportation, handling, and warehouse costs must be factored in, along with the costs of repairing or replacing damaged times. A retailer’s ability to “seal the deal” with consumers largely comes down to whether or not a package arrives on time, undamaged, and with the right products inside. Last-mile service is such a critical part of the transaction that retailers spend roughly 28 percent of overall transportation spend on getting it right. Each of these expectations comes with a cost and poses yet another logistical hurdle to clear. And similar to expectations for free shipping, lenient returns policies, and flexible shipping, last-mile service has become a competitive issue. If your business is perceived as inflexible, or even inept at meeting service expectations, customers will simply go elsewhere. So the question for retailers becomes not “if” they can become more customer-centric, but “how” can they manage it and still remain profitable. Retailers that have yet to embrace the importance of flawless deliveries and quality last-mile service may be surprised to know that their customers will blame them—and not the delivery company—if a shipment goes awry. “How is that possible?” some may ask, since the retailer isn’t behind the wheel of the delivery truck. Others may assume their involvement in the transaction ends when the logistics company or transportation provider picks up the shipment and carts it away. Research by Accenture global consultants found that of the 69 percent of consumers who said they had ordered an online product that did not arrive on time, 63 percent said the poor experience had influenced future shopping with that company, with nearly 25 percent saying they never directly ordered from that company again. And, as we saw previously, New Voice Media found 44 percent of customers who had a bad experience switched to another company. According to consumer service expert Martin Lewis, retailers must understand their “contract” with customers includes the expectation that the retailer will choose a capable and experienced transportation partner. So selecting a delivery company not up to the challenge of an on-time delivery is seen as a violation of that contract and a quick way to raise consumers’ ire. A retailer can try to mitigate the negative fallout from a late or botched delivery by offering coupons or a discount on a future purchase and, of course, through a sincere apology. The best option is to minimize the risk of a late delivery by choosing a highly experienced logistics and transportation partner. At Purolator International, we proudly serve a number of industries with our top-quality supply chain solutions. Our experience in cross-border shipping enables us to provide fast, efficient and customized services for all of our customers’ needs. Contact us today to take advantage of our award-winning customer service and innovative, dependable solutions. We look forward to working with you!